Korea’s Next Top Model (a.k.a. KNTM) is currently on their fifth cycle run, and as the original America’s Next Top Model counterpart, they included male competitors. The show’s newest edition started running in Korea’s OnStyle channel on August 16th, and the rooster of aspiring models seems very promising. Only sixteen contestants are on the running to become Korea’s Next Top Model. The girls are being mentored by stylist and creative director Han Ye Yun, while the guys are under super model Kim Won Joong’s teaching. But what makes Korea’s Next Top Model Cycle 5: Boys Vs. Girls worth watching? America’s Next Top Model’s past cycles have focused more on creating drama among the contestants than on the actual competition. KNTM, on the other hand, focuses on the development on the models. Yes, there is the occasional drama and love lines, especially now with guys added to the competition, but it doesn’t overshadow the main purpose of the show: the competition. The models’ stories have been very engaging and are very relatable to the viewers. That drama was shown in a very emotional challenge for the models and was very compelling. Moreover, the show’s challenges so far have been very creative, and the quality of the production has even triumphed over the original American version. 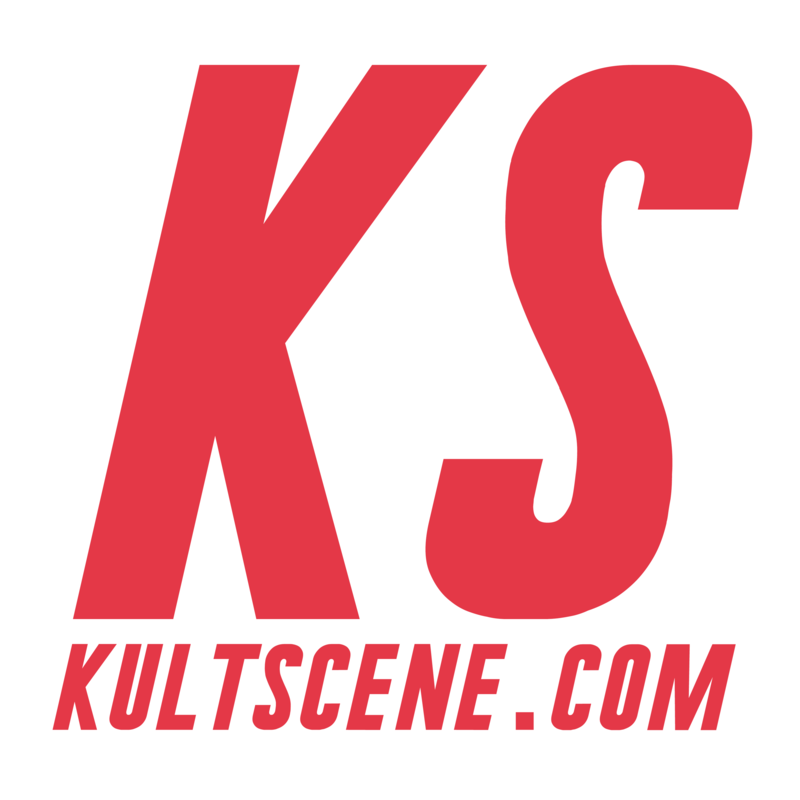 From creating the show’s title credits, to posing in a genderless fashion photoshoot, KNTM hasn’t ceased to surprise the viewers. The sets and photoshoots done so far have been visually stunning and inspiring. Just look at the opening title for the show; it’s amazing! Jang Yoon Joo does a very good job hosting the show; she is very entertaining and her personality seems original (unlike other countries where the host tends to copy Tyra Banks’ personality). Her charisma really shines through the show, and her constructive criticism seems real. Even if she scolds one of the models, you can really tell she genuinely cares about them. She makes the perfect combination of role model, friend, and host. The show is currently running on TV, but so far, it has had a few cool cameos. Starting with the first episode, the creator of the Top Model franchise Tyra Banks appeared on the episode. 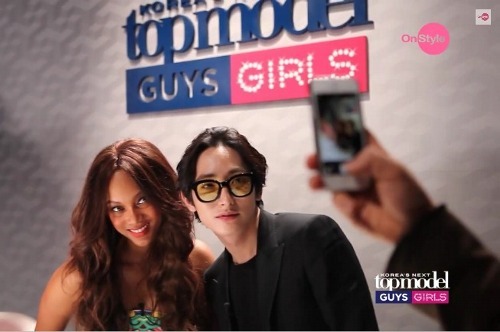 She helped select the contestants alongside model Lee Soo Hyuk. Tyra told to the contestants that she will be seeing them soon, and with cycle 21 of America’s Next Top Model international destination being Korea, she might have a very important role in the finale. Also, actor Kim Da Hyun who plays Hedwig in the musical Hedwig and the Angry Inch taught the contestants about letting their emotions out without fear. And taking a different route, rapper Beenzino requested the help of the models to appear as characters in his first music video for How Do I Look. And not only did we see Beenzino, but also got a behind the scenes look of the shooting for his music video. And last but not least, Dickpunks had a short but memorable cameo, playing live on a runway where the contestants had a walking challenge. The band is really fun, and seeing them playing live while the models walked was very cool. Take a look at Beenzino’s music video, How Do I Look, featuring the KNTM contestants. Everyone’s favorite part of the Top Model franchise are the makeovers, which usually happens around the third or fourth episode of each cycle. Who will love their makeover and who will cry? Usually, a makeover is done very thoughtfully; it’s not a matter of, “Oh we should make her blonde,” and then they do. It’s a well thought-out process that determines which look will suit best and enhance each models’ features, making the models look more editorial and getting rid of their commercial looks. The makeover is definitely one of the most entertaining episodes, since they brought the model side of the competitors. With this season incorporating male contestants to the show, there is finally eye candy for everyone. The female contestants range from high-fashion to girl-next-door beauties. Hwang Gi Beum, in particular, is one of the women who really stand out, and you can already picture her working international runways and magazines. Moreover, the male contestants have nothing to lose against the women in the competition. They each have very unique features that really make them stand out. There are even some contestants that resemble idols, like contestant Lee Chul Woo who looks like a hybrid of SHINee’s Key, FT Island’s Lee Hong Ki, and EXO’s Kai after his makeover (even one of the female contestants says that in the makeover episode). 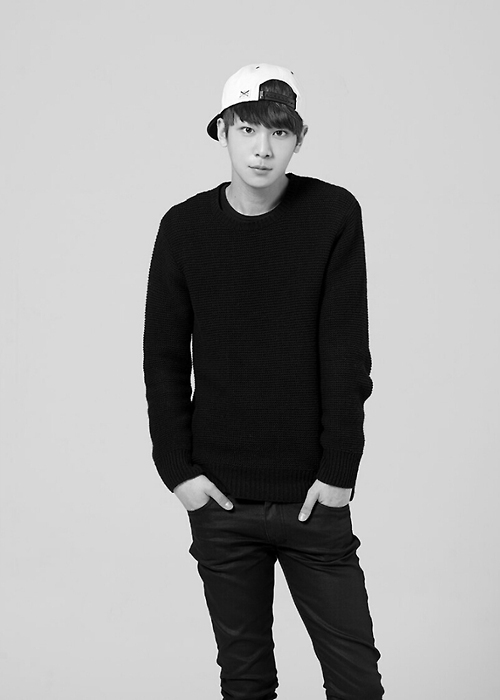 Bang Tae Un, for his part, looks like a more masculine and taller version of Super Junior M’s Henry. As for Shin Jae Hyuk, he resembles EXO D.O. and Xia Junsu. If doppelgangers and beauty isn’t enough for you, the cameo’s, the creative challenges, and production will sure get you hooked on Korea’s Next Top Model Cycle 5: Boys Vs. Girls. I recommend everyone this season! It is so good, the production is perfect and the challenges are interesting.